ArchitectureWeek No. 530 is now available on the Web, with these new design and building features, and more. "In accordance with the wishes of the owner, the main principle is that family life and art are not separated one from the other; the tendency is the reverse, a very intimate connection between them both." 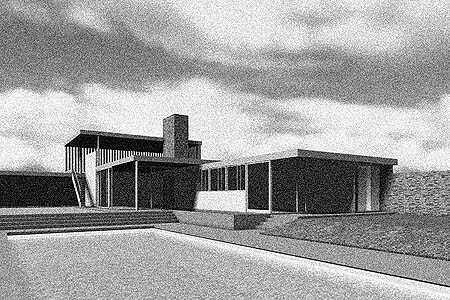 The above excerpt could be describing the Villa Mairea (1937-1939), but in fact it is how Aalto presented the Maison Carré (1956-1959) in Arkkitehti, a Finnish architectural journal, in 1961. 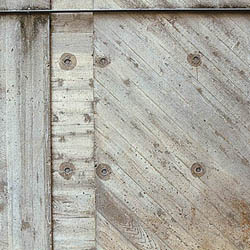 A series of coincidences had brought the French gallerist and art collector Louis Carré and the Finnish architect together. Carré first opened his Paris gallery in the late 1930s, which would become increasingly notable with exhibitions of Henri Matisse, Raoul Dufy, Fernand Léger, Alexander Calder, and Pablo Picasso during and after World War II. 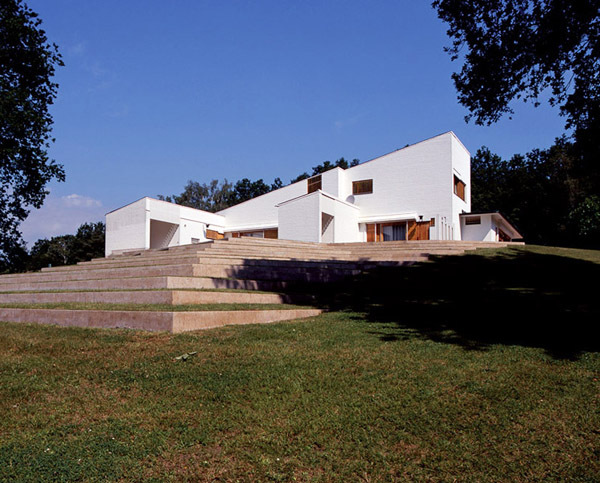 In the early 1950s, when the art collector decided to build a modern home in the countryside west of Paris, he discussed the question of the future architect with Léger and Calder, who both knew Aalto and recommended him. 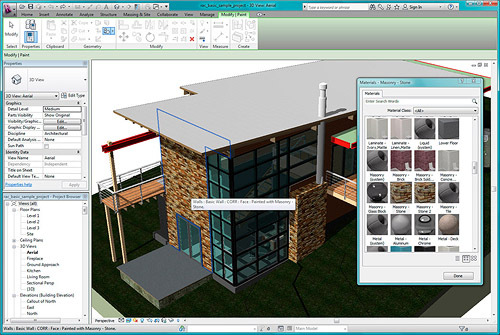 Revit Architecture 2012 finally includes some major improvements to its worksharing module, the limitations of which were brought into sharper focus by the revamped Teamwork module that had been introduced in Graphisoft's ArchiCAD 13 close to two years ago with a color-coded workspace and a flexible element reservation system. Revit has also introduced color-coding to provide greater visibility into element ownership and status to better manage team workflows. When worksharing is enabled on a project, a new Worksharing Display Settings dialog is available, which allows different color settings for four different aspects of worksets: checkout status of elements, the specific owners of elements, elements that are out of date with the central model or have been deleted in the central model, and which elements are assigned to particular worksets. For example, activating the last Worksets option enables you to ensure that elements are being created in the right workset, as they will be displayed in the colors assigned to the different worksets. Other worksharing improvements include balloon notifications that are displayed when editing requests are placed, granted, and denied — they also show the elements involved, enabling team communication to be faster and more efficient. There is a new option in the general Options dialog where you can specify the frequency of updates between the local copy and the central model. There is also the option to disable worksharing and detach the project from the central file, which could not be done directly in previous versions of Revit. 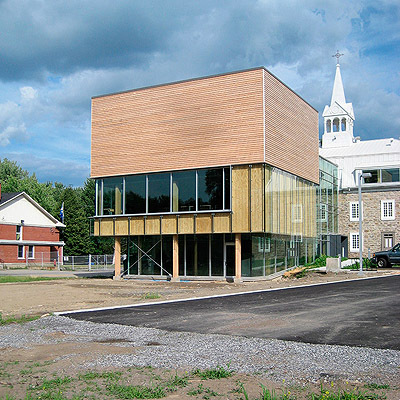 Brière, Gilbert + Associés Architectes of Montreal and Quebec City designed the recent refurbishment and expansion of a former boy's school (1851) in Salaberry-de-Valleyfield, Quebec, Canada, to house the headquarters for the Conférence Régional des Élus de la Vallée-du-Haut-St-Laurent (CRÉVHSL), the area's regional conference of elected officials. After extensive renovation of both the interior and exterior of the stone-clad historic building, it now houses several offices and the main reception functions of the headquarters. The Vertical Seam roofing panel from Metal Sales is a structural standing-seam panel with a concealed clip designed for thermal movement. 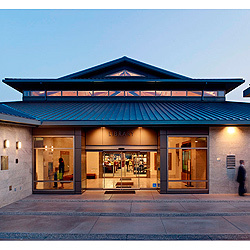 Pictured is the Lafayette Library and Learning Center in Lafayette, California, featuring Vertical Seam 24-gauge roof panels with a Kynar 500® PVDF coating in a cool Mistique Plus color (solar reflectance: .34, thermal emittance: .82). The snap-together panel system comes with a factory-applied sealant, and can be installed over open framing or a solid substrate. Requires minimum roof slope of 3:12. Available in three Energy Star-listed finishes, including two pigmented coatings eligible for 2011 federal energy-efficiency tax credits for qualified applications. "Comments like those regarding LA High School No.9 make me happy to be part of this creative community." This English architect designed Trinity Church in New York City and was the AIA's first president. Who was he? "This five-bedroom, five-bathroom vacation house in Palm Springs, California was designed to emphasize connection to the desert landscape while offering shelter from harsh climatic conditions. Large sliding glass walls open the living spaces and master bedroom to adjacent patios. Major outdoor rooms are enclosed by a row of movable vertical fins that offer flexible protection against sandstorms and intense heat... "